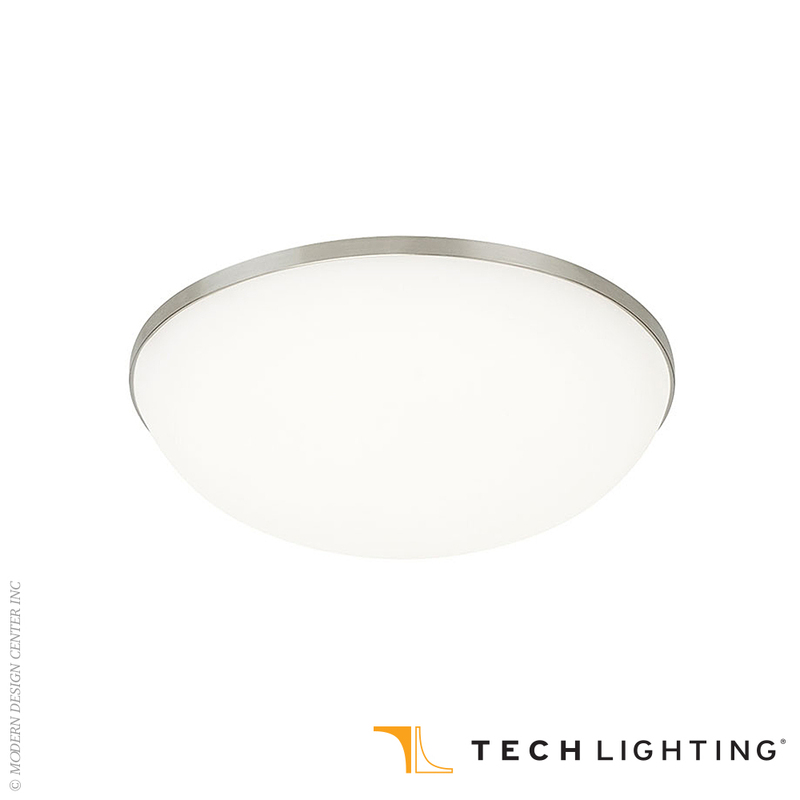 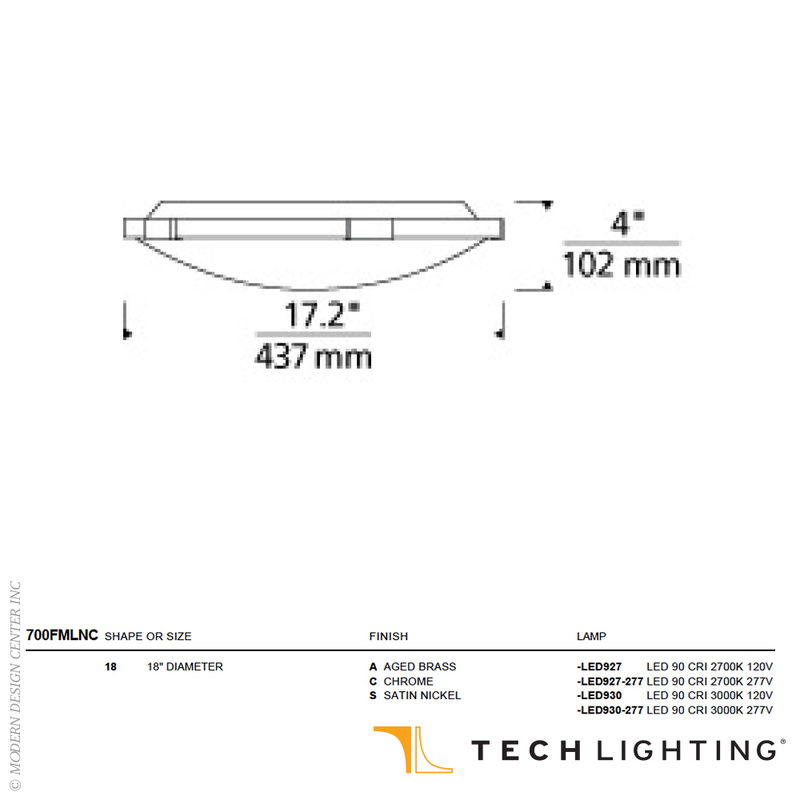 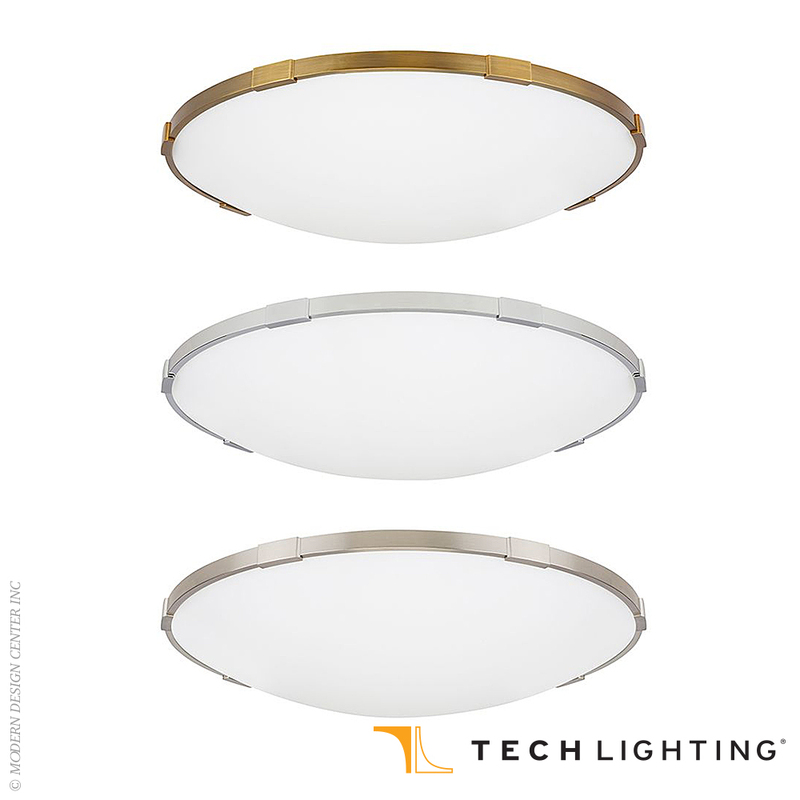 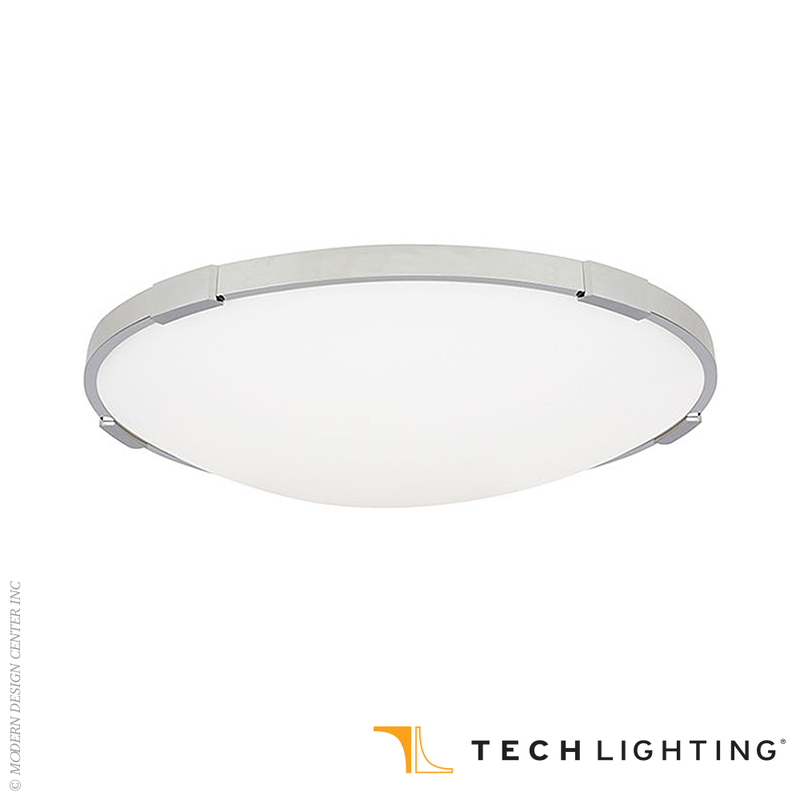 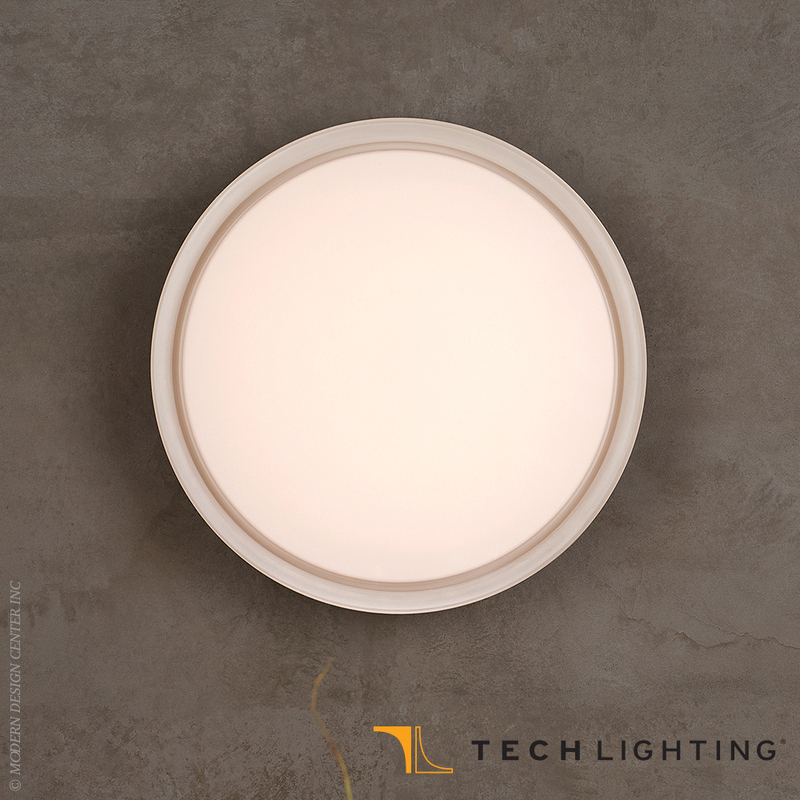 The universally appealing Lance 18 LED ceiling light from Tech Lighting exudes a warm yet contemporary style. 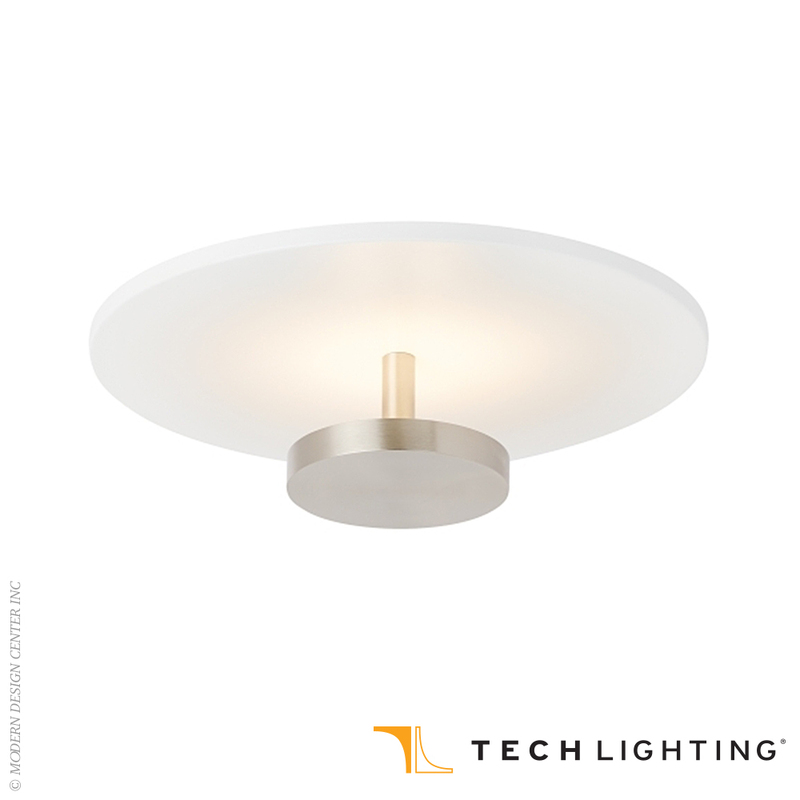 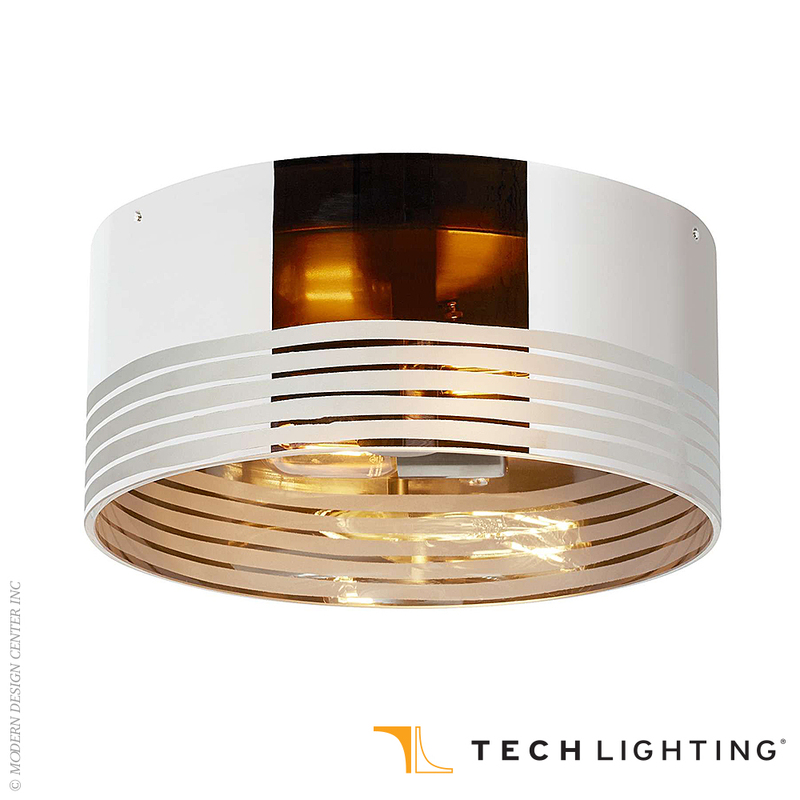 This ceiling light fixture features a thin, direct-mount metal body in your choice of on-trend finishes such as warm aged brass, smooth satin nickel and crisp polished chrome and includes removable coordinating decorative trim accessories. 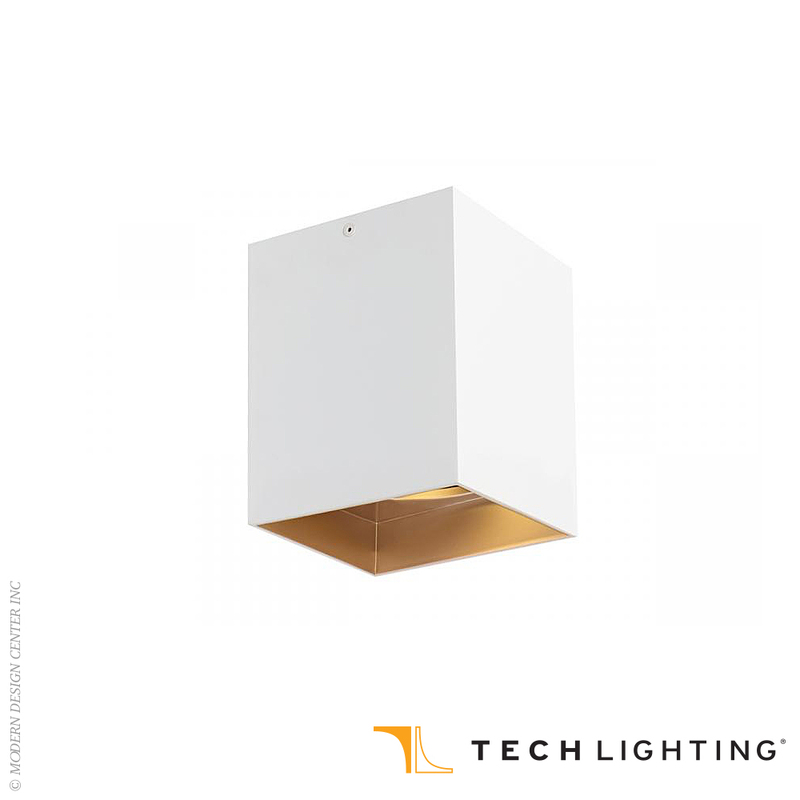 These accessories attach via high-powered magnets built into the metal body at evenly spaced increments to ensure a flawlessly symmetrical appearance. 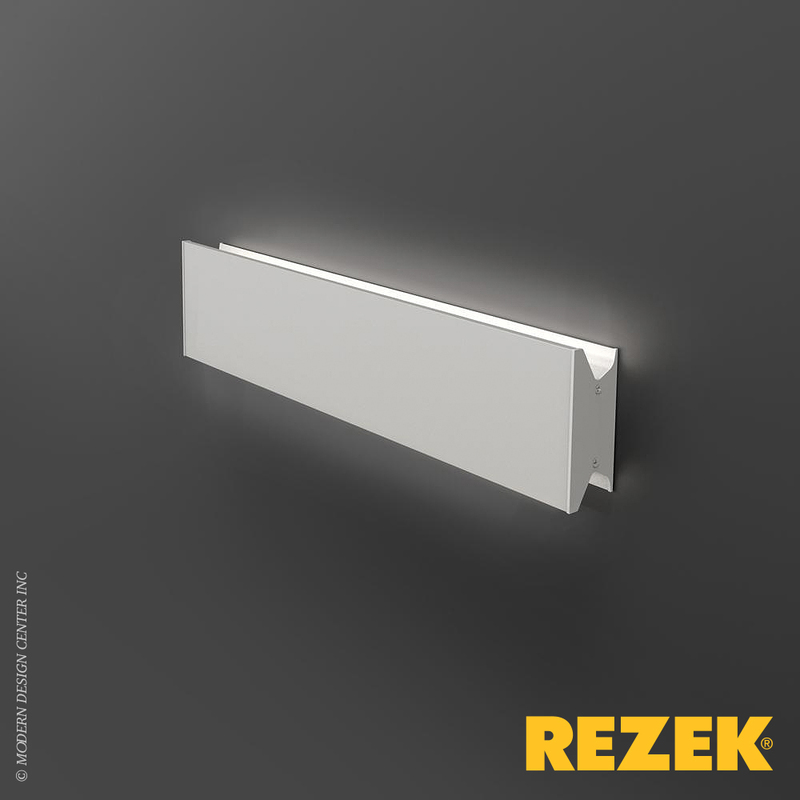 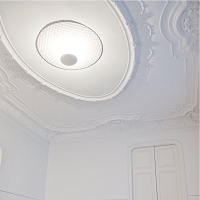 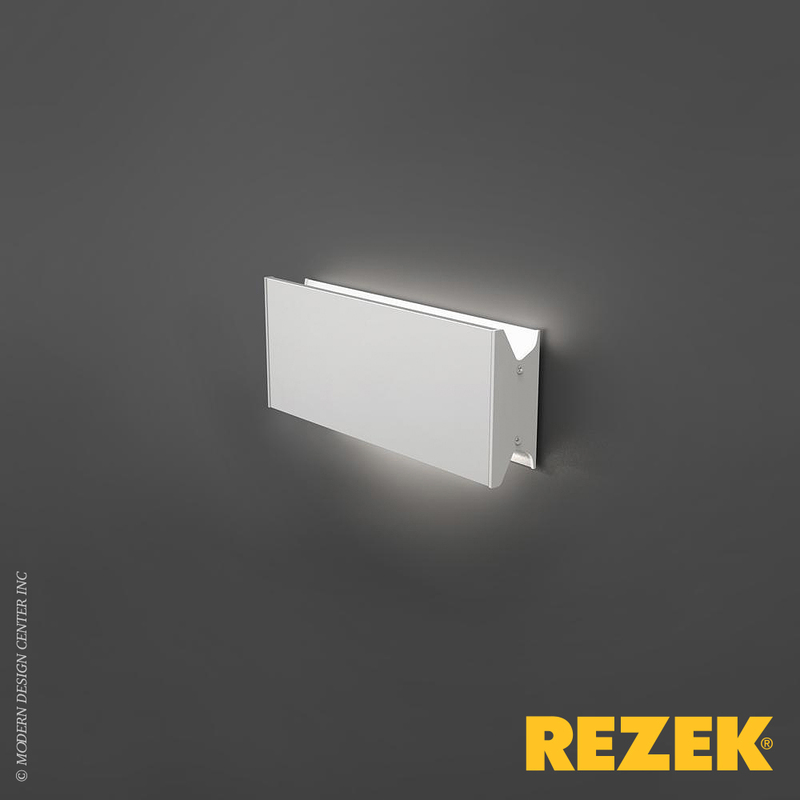 A frosted glass diffuser effectively controls the highly capable LED light source within, which is fully dimmable to help you create the desired ambiance in suitable applications such as bedroom lighting, bathroom lighting, hallway lighting and foyer lighting.